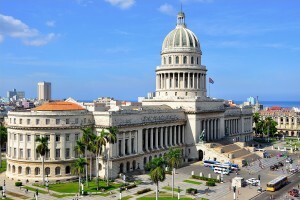 HAVANA - The US Treasury Department's Office of Foreign Assets Control (OFAC) has fined the American Honda Finance Corporation (AHFC) US$87,255 for violating US regulations that are part of the trade embargo against Cuba. According to a document published on the US Treasury Department website, one of Canada's AHFC subsidiaries, Honda Canada Finance Inc., approved and financed 13 car lease agreements between the Cuban embassy in that country and a Honda dealership in Ottawa between February 2011 and March 2014. The Canadian subsidiary of the American Honda Finance Corporation, a California-based motor vehicle financing company, had already rejected, on March 30, 2015, a transfer to the island's diplomatic institution in that country of cars that were due for replacement. This fine adds to the long list of extraterritorial sanctions of the US government, set out in the framework of laws that regulates the economic, commercial and financial embargo against Cuba. In January, just a week before President Barack Obama's term ended, the US Treasury Department imposed fines on the nonprofit Alliance for Responsible Politics for Cuba (ARCPF) and Canadian bank Toronto Dominion (TD), for amounts of $10,000 and $955,750 respectively, for violating the embargo against Cuba. Since the normalisation of relations announcements of December 17, 2014, the US government has fined 11 entities – seven American and four foreign – over $2.8 billion. During Obama's term of office (2009-2017), 56 fines were imposed for violations of sanctions regime against Cuba and other countries, amounting to some $14.27 billion.